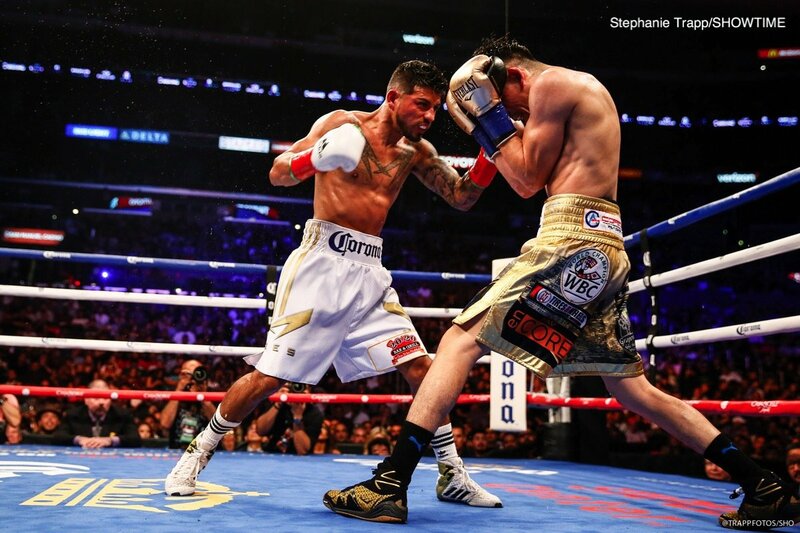 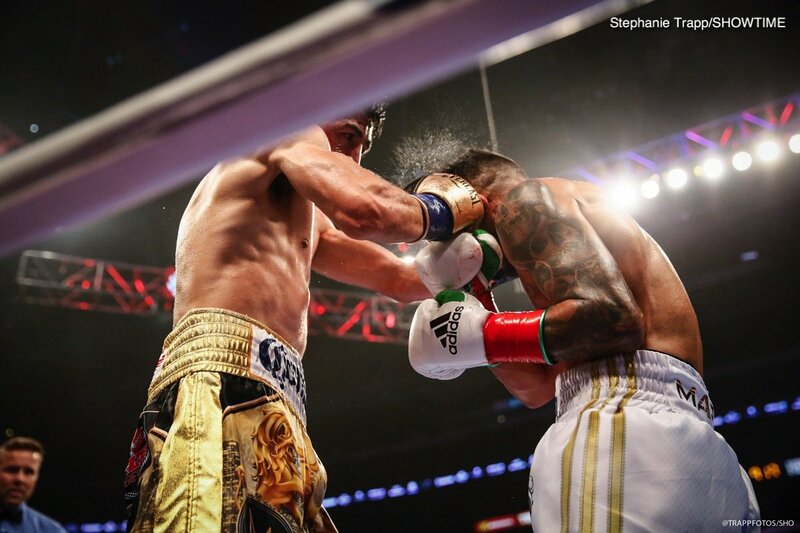 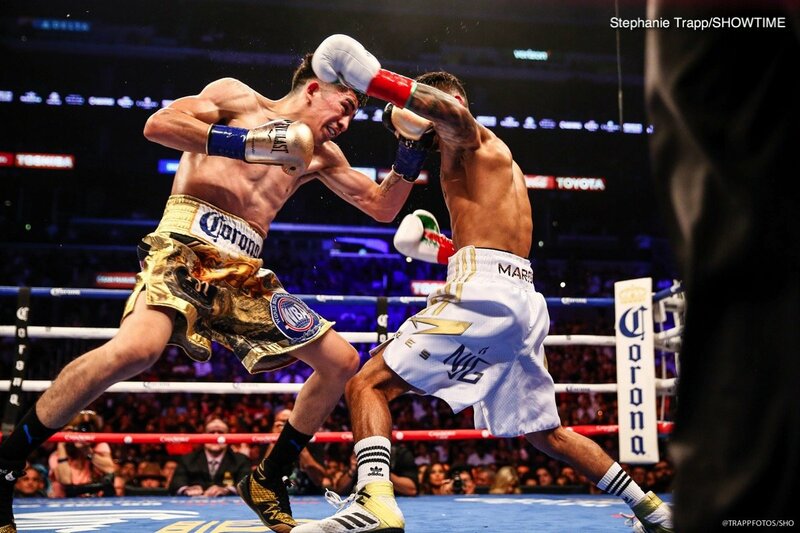 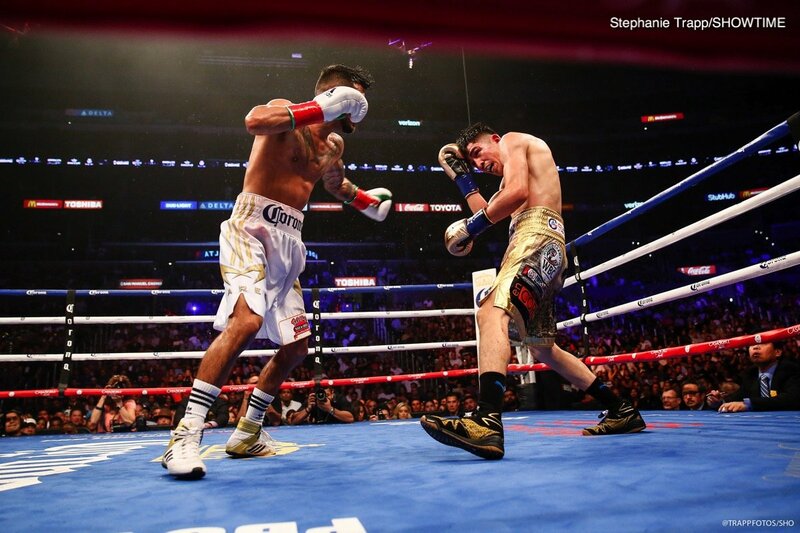 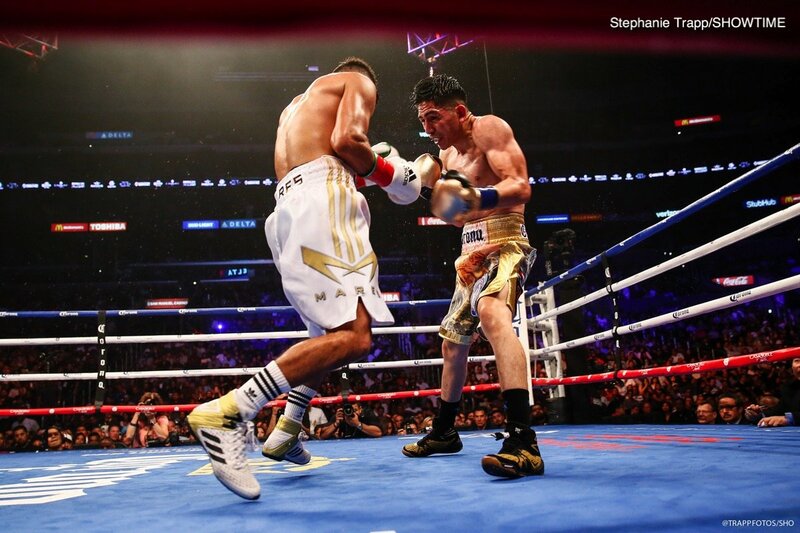 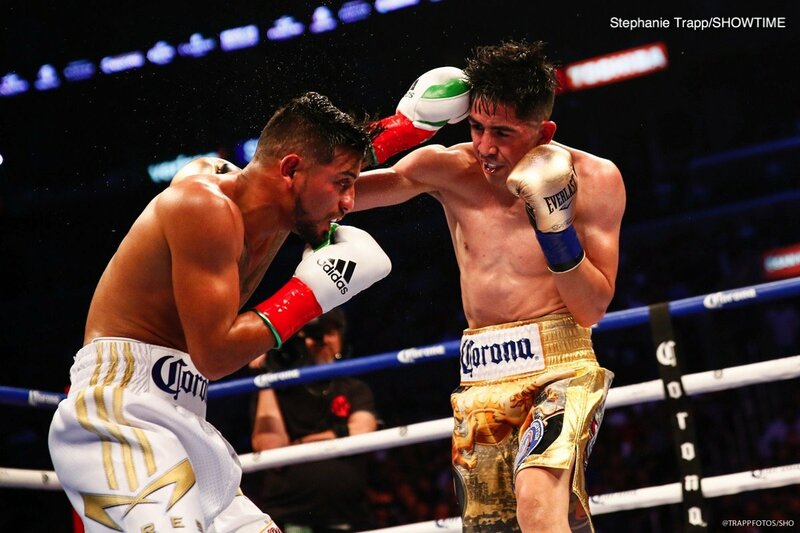 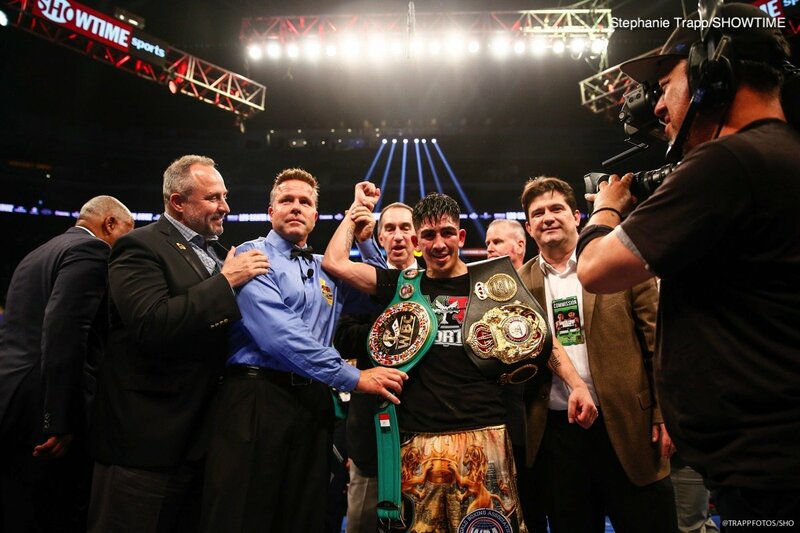 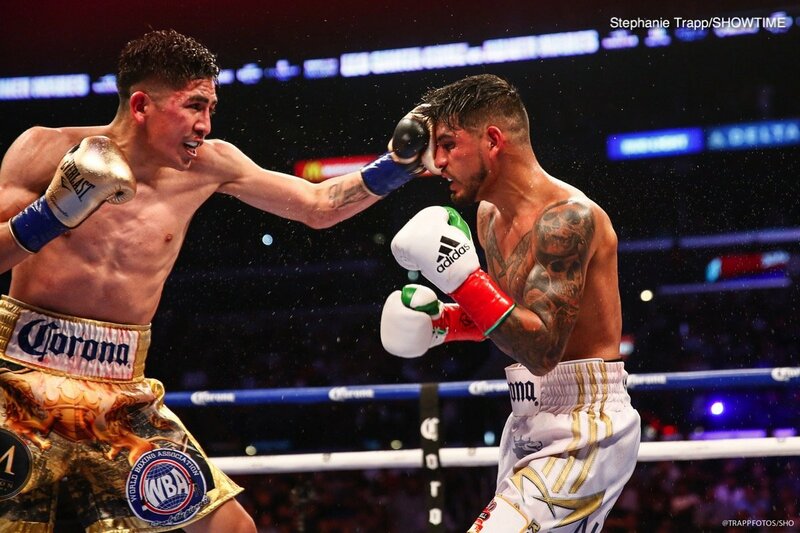 In an electrifying war that had the STAPLES Center crowd on its feet chanting for more, Leo Santa Cruz defended his WBA Featherweight World Championship by winning a unanimous decision against four-division world champion Abner Mares in their rematch Saturday night on SHOWTIME CHAMPIONSHIP BOXING ®. 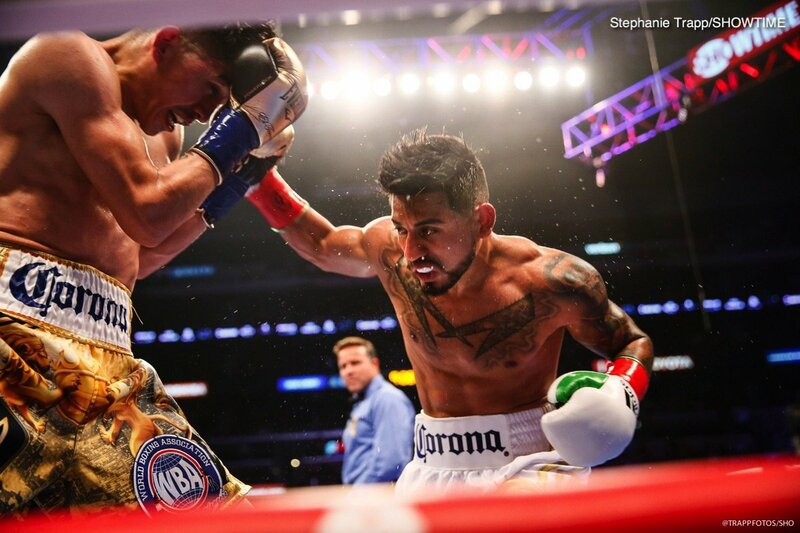 In almost an exact replica stat-wise of the first fight that Santa Cruz won by majority decision in 2015, the Los Angeles-native and three-division world champion Santa Cruz won on all three of the judges’ scorecards against Mares by scores of 115-113, 116-112, and 117-111. 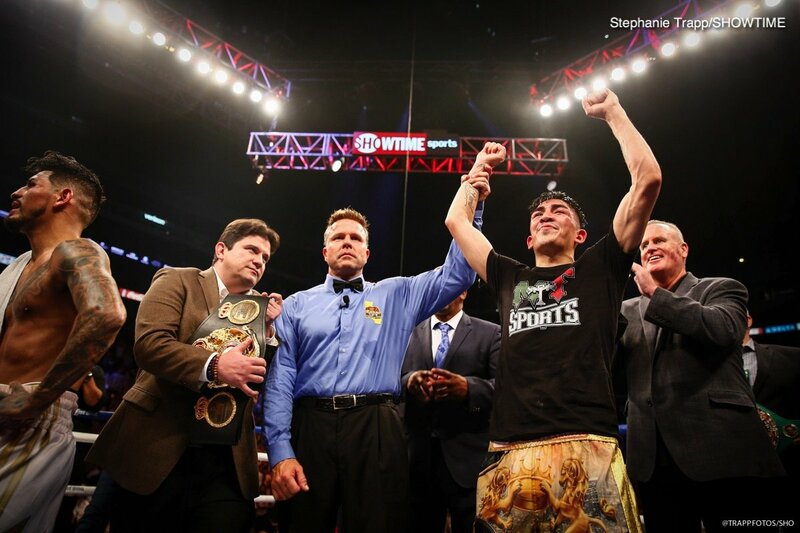 With the win, Santa Cruz (34-1-1, 19 KOs) takes one more step toward a possible unification fight in the competitive 126-pound division, one of boxing’s deepest. 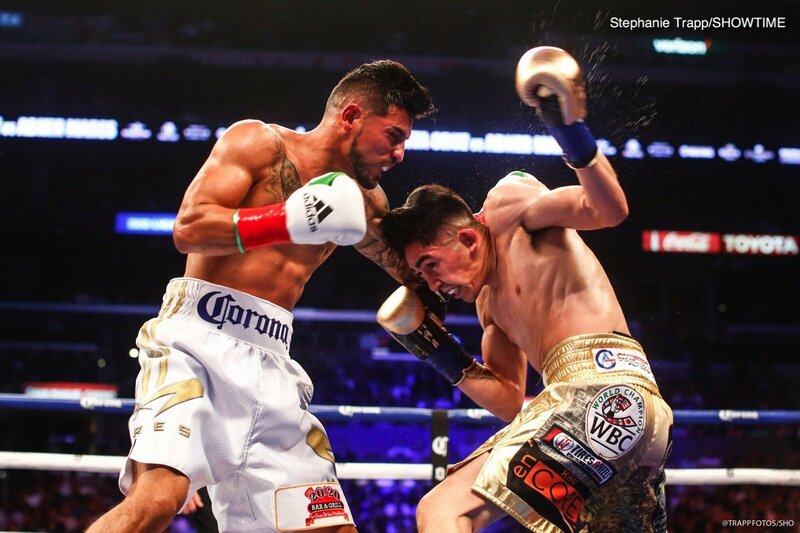 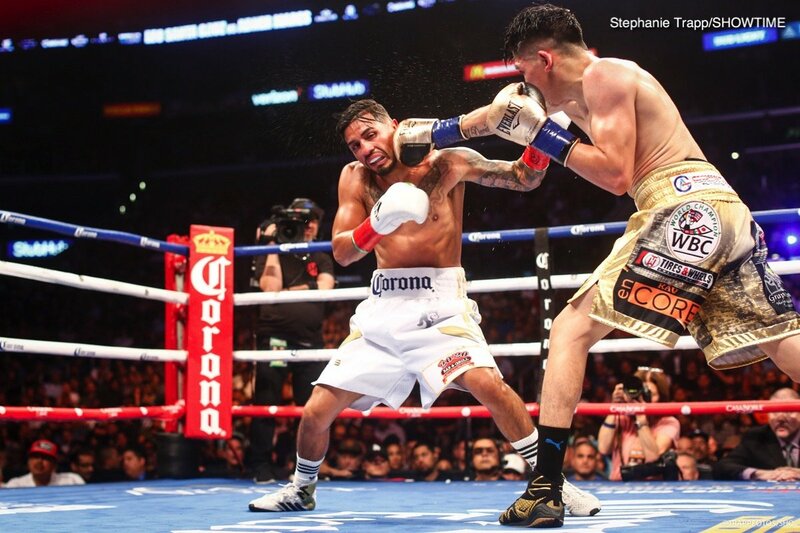 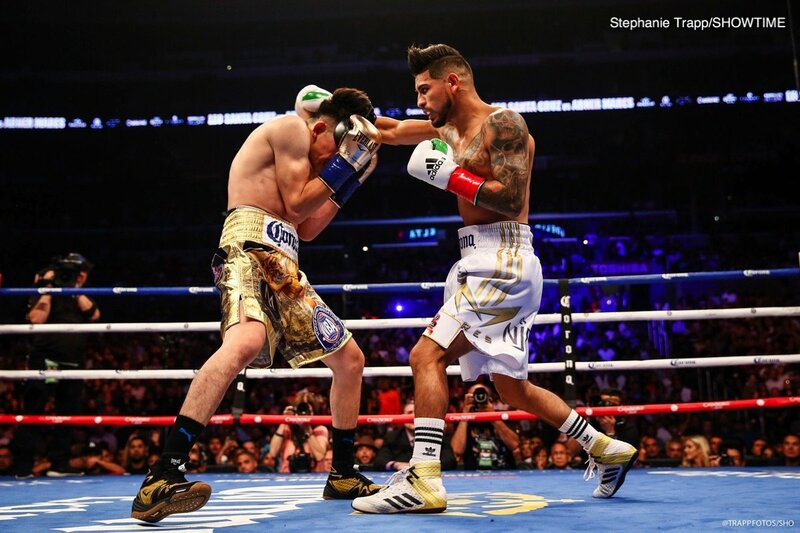 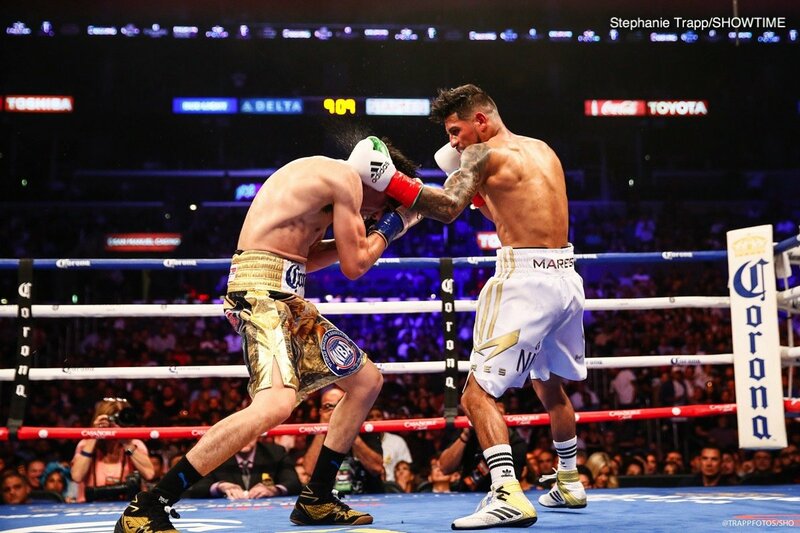 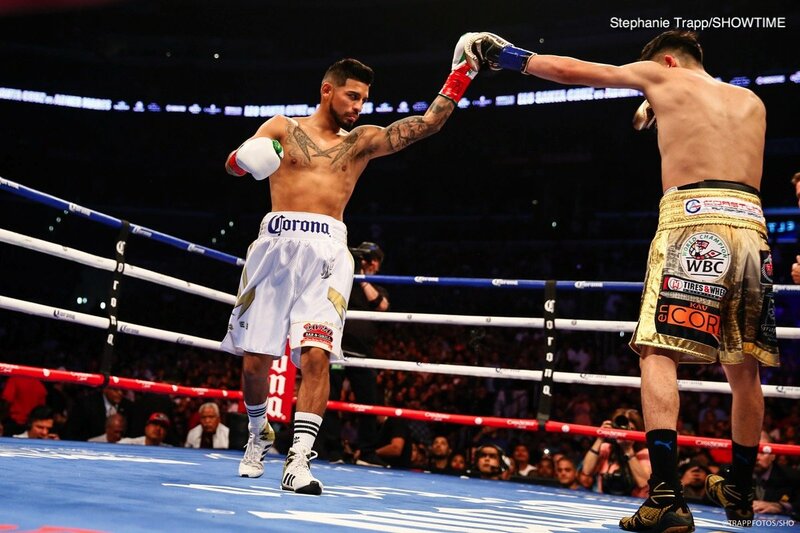 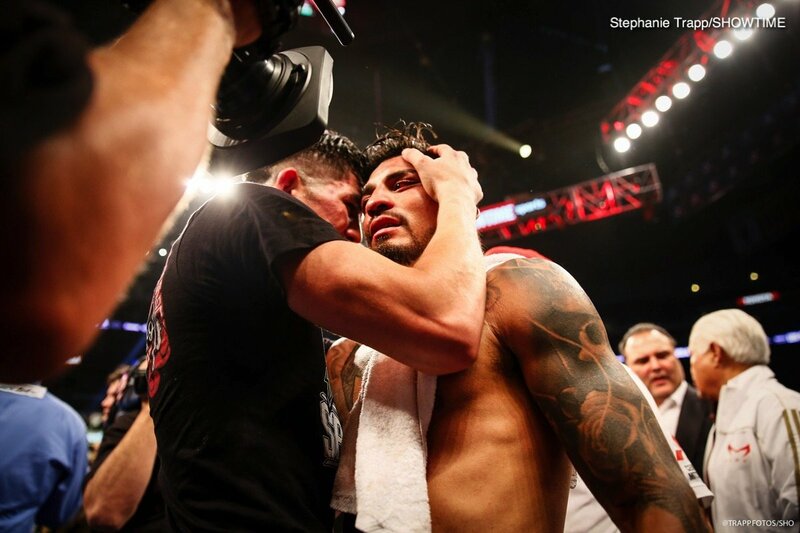 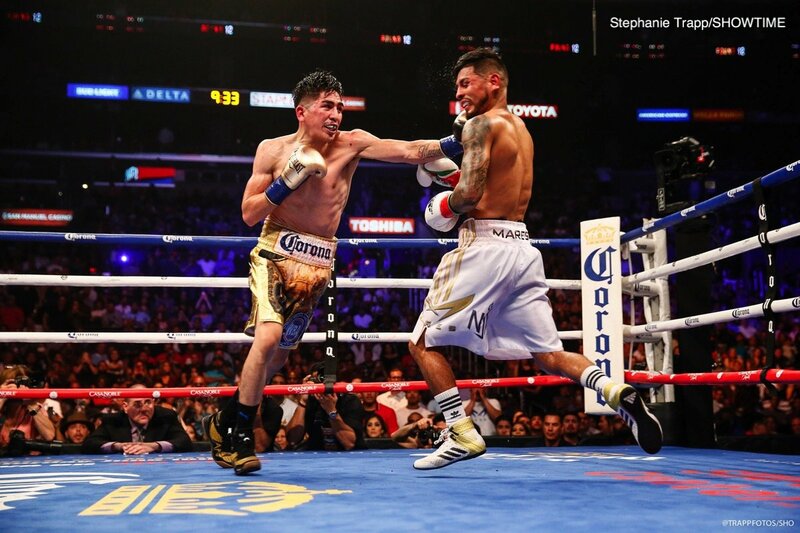 Similar to the first time the two Mexican-American warriors met, which resulted in more than 2,000 punches being thrown, a total of 1,992 totals punches were thrown in Saturday’s fight with Santa Cruz throwing 1,061 to Mares’ 931. 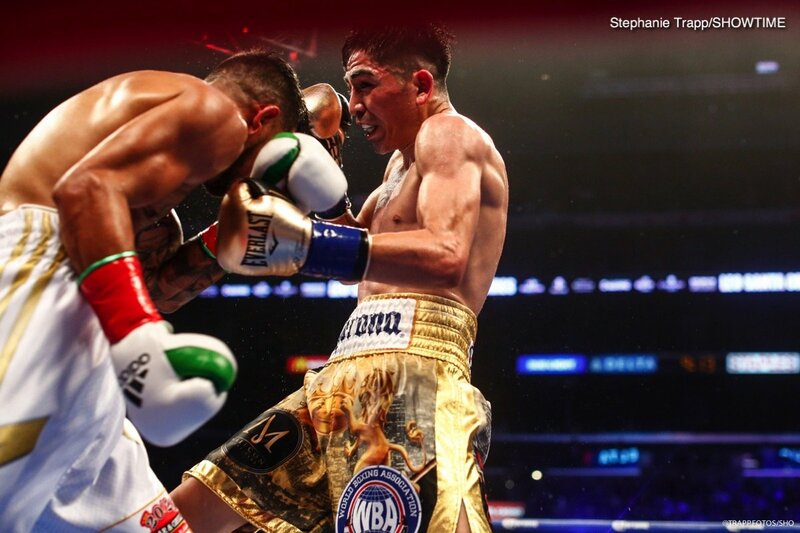 Santa Cruz landed 357 punches compared to 208 for Mares. 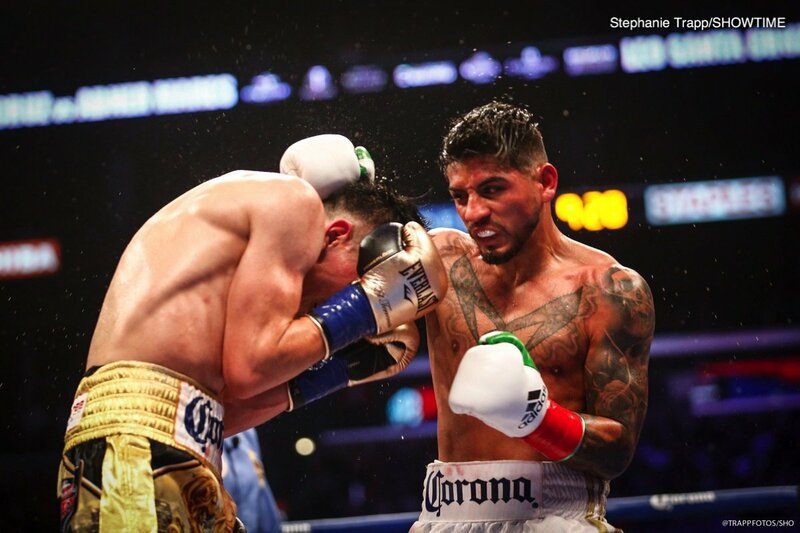 Mares (31-2-1, 15 KOs) started fast, winning the first two rounds on SHOWTIME’s unofficial scorer Steve Farhood’s card before Santa Cruz kicked it in another gear and went to work. 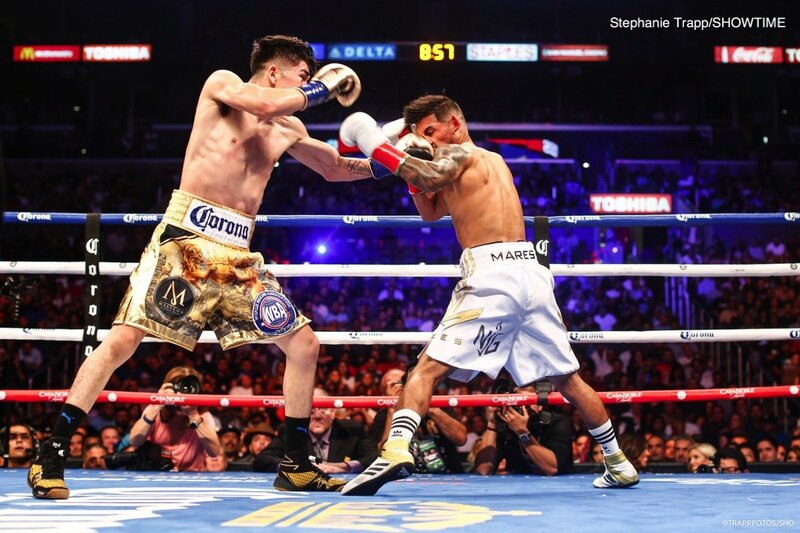 In what SHOWTIME announcer Mauro Ranallo termed a “Featherweight Fiesta,” Santa Cruz dictated the pace from the third round on, utilizing his reach and working off the jab.